New Delhi : The Finance Ministry today cleared all speculations regarding transfer of a surplus of Rs.3.6 lakh Crore from the Reserve Bank of India. 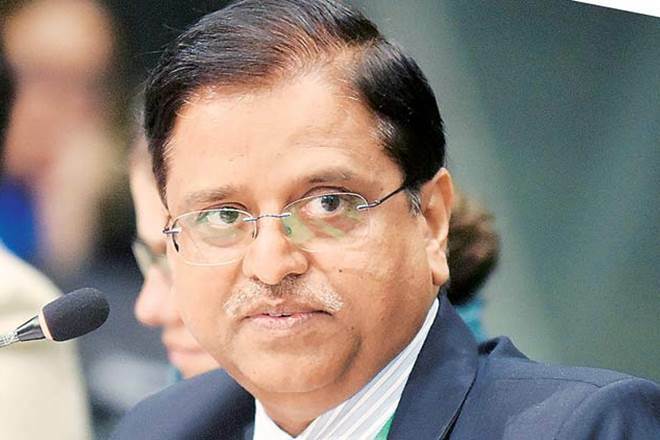 In a thread of tweets Department of Economic Affairs Secretary Subhash Chandra Garg on Friday said that the government’s “fiscal math is completely on track” and no such proposal is being considered. The only proposal under discussion is to put in place appropriate economic capital framework of RBI, Subhash Chandra Garg tweeted. Lot of misinformed speculation is going around in media. Government’s fiscal math is completely on track. There is no proposal to ask RBI to transfer 3.6 or 1 lakh crore, as speculated. (continued…). “Lot of misinformed speculation is going around in media. Government’s fiscal math is completely on track. There is no proposal to ask RBI to transfer 3.6 or 1 lakh crore, as speculated..”, he tweeted. Exuding confidence about government’s fiscal math, he said, it will stick to the fiscal deficit target of 3.3 per cent for the current financial year ending March 31, 2019. “Government’s FD (fiscal deficit) in FY 2013-14 was 5.1%. From 2014-15 onwards, Government has succeeded in bringing it down substantially. We will end the FY 2018-19 with FD of 3.3%. Government has actually foregone 70,000 crore of budgeted market borrowing this year,” he added.